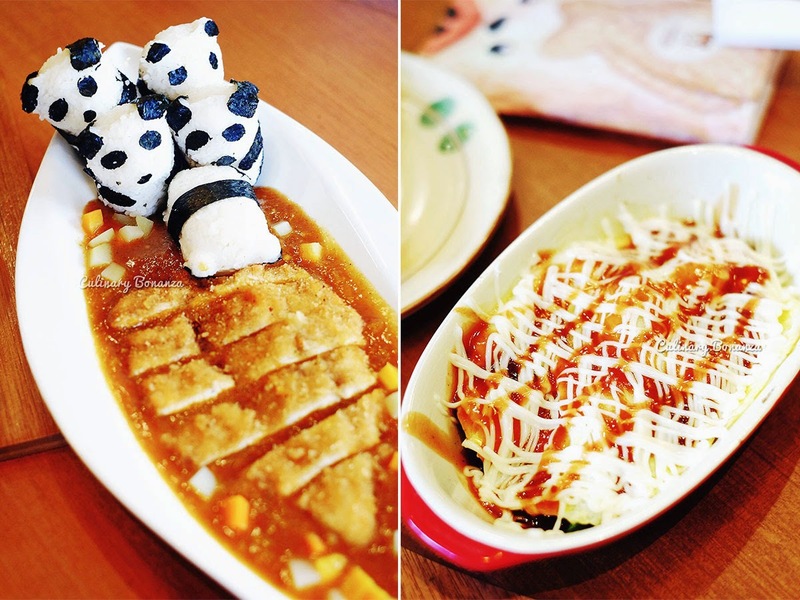 Foodies in Jakarta are currently taken by storm with the arrival of this uber cute Japanese Cafe in North Jakarta, all thanks to their iconic cute edible 'pandas', which are either blanketed under an omelette blanket or taking a dip in the pool of curry gravy. Itadakimasu just very recently opened in Pantai Indah Kapuk (PIK), but it's not not on the main busy stretch of shop houses, instead, you'll have to venture deeper inside the seemingly self-sustainable area, it might as well be a city of its own! Lol To be exact, Itadakimasu is located at the relatively new rows of shop houses at Elang Laut (close to the new Graha Family hospital). This place seems to have caught a lot of attention lately and has probably become a little mainstream. 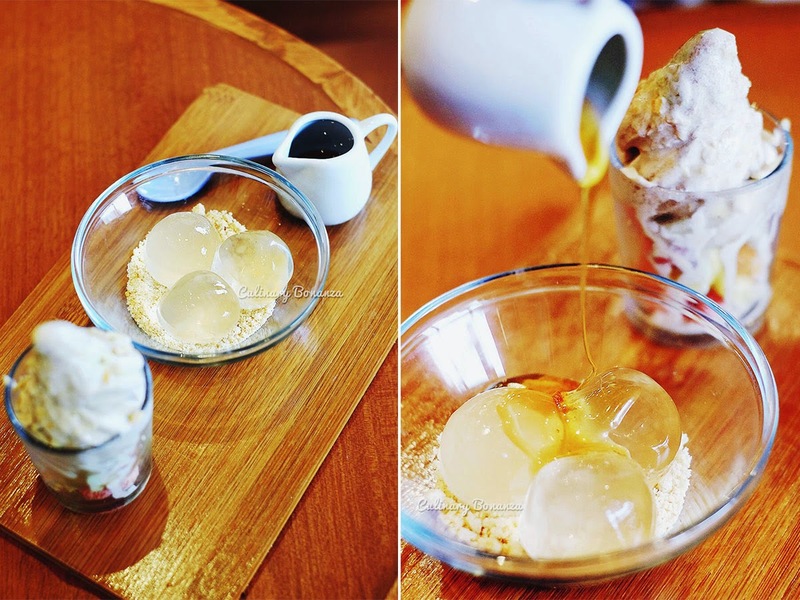 But I just couldn't resist trying those cute pandas and interesting-looking dessert! So I hang my hipster label for a few hours to quench my curiosity. 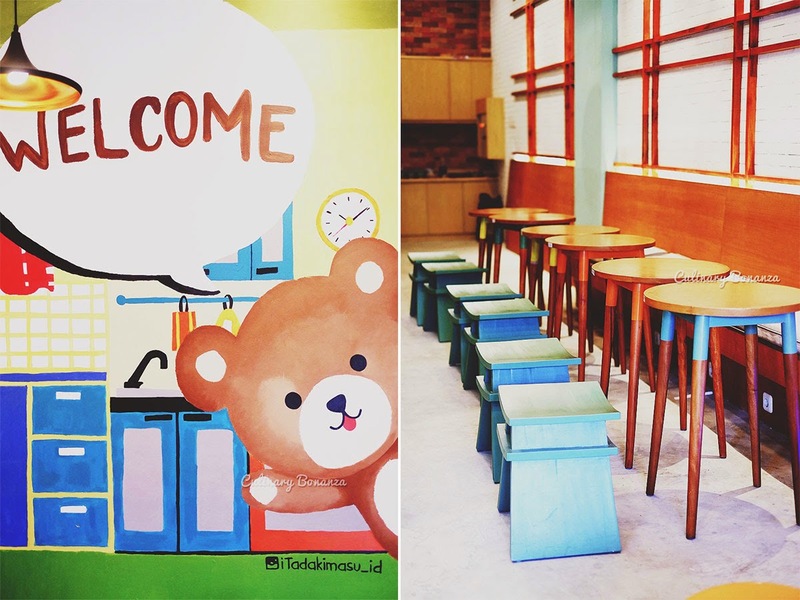 It's supposed to be a wonderland for kids, what with colourful and adorable paintings of the iconic bear on the walls, the 2 story cafe has plenty of space, albeit not exactly comfortable stools, except for the cushioned benches against the walls. Now now, come the menu, i'd say just trust your guts and when I went there with my friend the other day, we picked out 4 items, which all turned out to be quite good. Starving Pandas!! Yes indeed, our pandas looked starved, as one of the 5 actually dunked face on in the pool of curry lol. The cuteness of the panda is only overshadowed by the compactness, which makes it quite solid to eat. Overall the chicken katsu and curry gravy were alright, only slightly spicy, so be warned if you intend to order this for the kids. We didn't know what to expect at first for the tonpeiyaki, but the description sounded convincing, so we ordered it blindly. Turns out it's a heavenly treat, especially if you're a pork lover! Thinly sliced succulent pork with some vegetables, covered with a blanket of egg and topped with lots of Japanese Mayo dressing. Do not ask me what's the nutritional value in this dish, because delicious stuff like this, score badly in the health department lol. From the Ted's famous Taiyaki, we tried the Matcha Croissant Taiyaki. 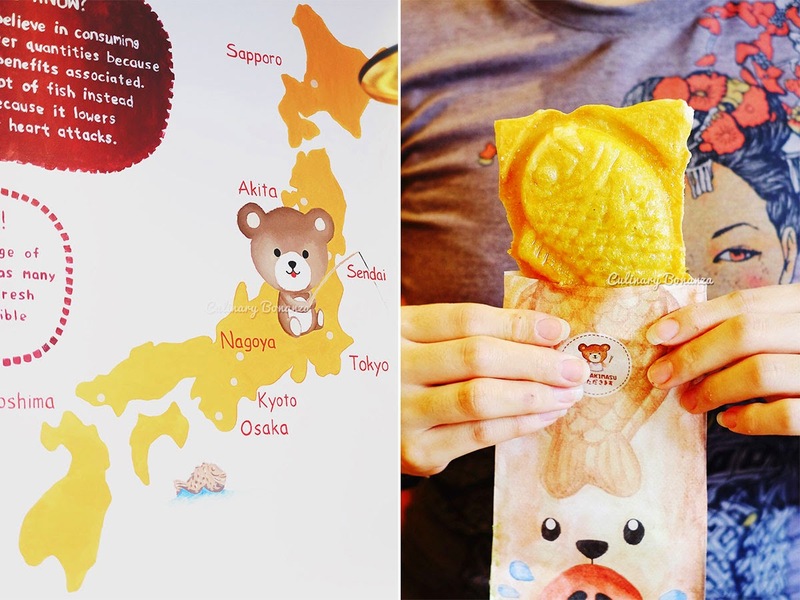 The croissant taiyaki, hence the name, because the dough is made with puff pastry, shaped in the fish-shaped mold. So the taiyaki has crispy crust, with matcha filling. We weren't impressed by the filling, but the crispy croissant crust probably works better with the savoury fillings, which we didn't try, but is actually offered on the menu. I like the clear moci dessert, actually the ovomaltine soft serve didn't serve any purpose, except being another thing to eat. The clear moci was nothing like i've seen / eaten before, and this would be one of the reasons i'd return next time. Well, in conclusion, I'm quite pleased to 'report' to you that Itadakimasu impressed me better than my expectations. Well, maybe I had set too low an expectation, but I could see myself coming back again.